You align with our company Purpose, Mission and Values, and act, speak and behave in a way that is congruent with these. Your practice our Codes of Conduct. You relish the idea of working on sales and marketing campaigns on these topics. You are conscious of tracking stats on your marketing results, understanding that the goal is to support revenue generation activities. You agree to attend weekly all-company team meetings, and weekly marketing team meetings. You agree to participate in live company events, which support sales and marketing activities. These include public talks, writing retreats and public delivery events, and professional trade shows, mostly in San Diego, CA. These are agreed upon as each opportunity approaches. You are responsible for working with the Marketing Manager to set monthly, quarterly, six-month and yearly goals, for you to achieve for that time period. You are responsible for working with other vendors and subcontractors to execute campaigns, for example video editors, designers, and assistants. You are responsible for executing marketing campaigns that create qualified sales leads. Copywriting — Write marketing copy that echoes the ideal client's pain and desires for persuasive action, while conveying our company's brand and values. Online sales and landing pages — Write copy for sales landing pages, registration pages, delivery pages and thank you pages. Online events — Write copy for webinars, online workshops, virtual summits, and live events. Email campaigns — Write email strings for online launches and campaigns. Ezines — Write engaging ezine content for connection with our email community. Blogs and articles — Write content-rich blogs for our company website and guest articles for other websites. Suggest blog topics based on existing video content. Social Media — Engage with audiences via LI, FB, TW, YT, and others. Maintain our Facebook Group and update as needed, schedule weekly updates via Hootsuite or Buffer. Infoproducts — Write online products and infoproducts that support marketing campaigns. Videos - Plan and write content-rich video scripts and postings. Work with video editor to create and upload videos to You Tube and post on company website and social media. Testimonials — Interview clients for testimonial videos. Post edited videos to website and social media. Repurposing — Repurpose content to and from various mediums, including blogs, ezines, emails, social media, articles, ebooks, and talks. Collaborating — Communicate with the team via weekly video meetings, including sales, marketing, editorial and operations members. Work with other marketing associates, such as video editors, graphic, web designers and CRM experts. Results — Review your marketing campaign results, measured in ezine open rates, opt-ins, unsubscribes, webinar attendees, sales conversion rates, number of social media followers, website visitors, and other statistics. Speech writing — Write signature talks for the company leader, attend speech practice sessions and give critical feedback to speaker. PowerPoint presentations — Prepare PowerPoint presentations for talks, attend the company leader speeches and support the sales team. Online events — Suggest topics for webinars, virtual events, speeches and so on. Collaterals — Write marketing collaterals, including bios, flyers, OneSheets, ads, postcards, etc. Ebooks — Write ebooks or booklets for free promotional downloads. Infoproducts — Create new ezine opt-in gifts and other marketing products. Keep tabs on client activities and write Thank You cards as appropriate. CRM campaigns — working with our contact relationship management expert to identify and reach targeted audiences. Able to connect with a wide range of people, including business leaders, CEOs, speakers, professionals, healers and change agents, as well as individuals with unique personal stories. Growing, learning and becoming the highest version of yourself you can be. 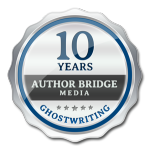 If this is you, please send a cover letter and resume to human-resources@authorbridgemedia.com.